Each PASCAL member library will have one Library Representative who will serve as a liaison between their local institution and PASCAL’s collaborative management of the shared library services platform (SLSP). Initially, the Library Representative will be the library’s dean or director. The dean/director may choose to appoint a member of their staff to serve in the Representative role, or may remain the Library Representative. Dean/directors may also designate a ‘backup’ for their Library Representative. This is optional and at the discretion of the library dean or director. 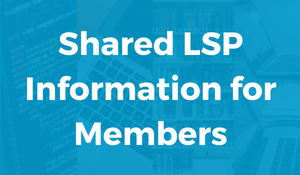 Each PASCAL member library will have one Library Representative who will serve as a liaison between their local institution and PASCAL’s collaborative management of the shared library services platform (SLSP). Initially, the Library Representative will be the library’s dean or director. The dean/director may designate another person to serve in this role by completing the appropriate online form. Guarantee there is a single point of contact at each PASCAL member library. Distribute information between their library and the SLSP collaborative management architecture. Ensure that each library has at least one person to facilitate discussions of local concerns and to inform appropriate SLSP collaborative management groups or PASCAL staff, as necessary. Represent their library in decision-making regarding new policies, procedures, and workflows created by the SLSP Working Groups. Initially, the Library Representative will be the library’s dean or director. The dean/director may choose to appoint a member of their staff to serve in the Representative role, or may remain the Library Representative. Familiarity with the expertise of local area experts in their library and at their institution. A certain level of authority within their library to request and receive information in a timely manner. During leaves of absence, the Library Representative will designate an alternative Representative to serve in the role. The Library Representative must ensure the alternate Representative is fully prepared to carry out all applicable responsibilities when the Library Representative is unavailable. It is recommended that the Library Representative serve in this role for a minimum of 2 years. However, the length of time a Representative will serve is ultimately determined by the dean/director of the respective PASCAL member library. Whenever possible, Library Representative meetings and training will be held virtually or regionally to minimize travel commitments and expenses. However, some travel may be required. The work of the Library Representative should be adjusted by their institution so that consortial work is not treated as “extra”, “volunteer”, or “as time allows”, but rather as an important formal assignment. Each Library Representative will meet the expectations and responsibilities outlined in this document, and will confirm these obligations through the completion of an online form. Facilitate/manage communication to and for the PASCAL member library staff. Coordinate with their member library area experts, IT personnel, and other stakeholders to understand impacts and implications for matters requiring local decisions. Facilitate/manage communication of local decisions to the SLSP collaborative management architecture, as necessary. Participate in the Library Representatives listserv and other communication methods on behalf of their library. Attend SLSP meetings, workshops, and webinars relevant to completing their duties as a Representative. Participate in any or all of the Working Groups listservs. Serve on a Working Group. Chair a Working Group and serve on the Implementation & Management Team. Serve on SLSP Steering Committee. Specific expectations and responsibilities for the Library Representative may vary depending on the size of the institution and the availability of staff and resources. For example, a large institution may have a committee of library area experts to review the proposed policies, procedures, and workflows which require local decisions. This committee would then provide feedback to the Library Representative. Alternatively, a small institution, may just need the Library Representative to seek feedback from one staff member for local decisions. The specifics of seeking input for local decisions will be left to the discretion of the PASCAL member library. If the Representative also serves on a Working Group, Implementation & Management Team, or Steering Committee, they need to understand that in those roles, they will be representing the SLSP first and their institution second. However, when they are doing the work of the Library Representative, they are doing so with their institution’s best interests in mind. Library Representatives will participate in relevant SLSP communication channels such as email, listservs, webinars, surveys, workshops, etc. Communication is a significant responsibility of the Library Representative, so the expectations directly related to communication are outlined below. Provide SLSP updates as appropriate to their library via e-mail, local staff meetings, etc. Vet final decisions with relevant library area experts, the library dean/director, and other stakeholders as appropriate, before communicating decisions to the SLSP collaborative management architecture. Serve as a local resource for information related to the implementation and management of the SLSP. Review and participate in the communication channels targeted to the Library Representatives. Read the PASCAL newsletters, correspondence, and other communications specifically related to the SLSP. Communicate with the PASCAL SLSP Coordinator at their discretion. Communicate local decisions related to policies, procedures, and workflows to the SLSP collaborative management architecture, as necessary. Library Representatives will coordinate with local area experts, IT personnel, and stakeholders to understand the impacts and implications for matters requiring local decisions. This may involve sharing draft versions of policies, procedures, workflows, and other documentation requiring local input, and systematically collecting and consolidating feedback. Library Representatives are then responsible for communicating this feedback to PASCAL through designated communication channels. In addition to feedback, the Library Representative may be asked to convey whether the local institution will or will not support the proposed policy, procedure, workflow, etc. In the cases where an institutional decision is required, the Representative should survey all local experts/stakeholders, communicate with their library dean/director as appropriate, and convey the decision along with any relevant feedback that impacted the decision to the SLSP collaborative management architecture. If a PASCAL member library supports a proposed policy, procedure, or workflow, the Library Representative will convey the decision and any additional feedback to the relevant Working Group. If a PASCAL member library does not support a proposed policy, procedure, or workflow, the Representative will convey the decision and the reason they cannot support the decision to the relevant Working Group. The Representative will also convey their recommendations for changes that would enable them to support the decision. If a PASCAL member library cannot agree on whether to support the proposed policy, procedure, or workflow, the Representative will convey the feedback and input (both for and against the decision) to the relevant Working Group. If a Library Representative does not communicate their decision to the relevant Working Group within the designated timeframe for feedback, the Working Group will interpret this silence as support for the proposed policy, procedure, or workflow. New Library Representatives and any alternate(s) will be required to attend in-person and/or online training with PASCAL staff. This training will convey responsibilities, expectations, workflows, and decision-making parameters. The Representatives will also be set up and trained on any relevant communication methods such as listservs, conferencing software, etc. PASCAL will also provide in-person and/or online training and support to existing Library Representatives as required.